Transforming Canadian beef on the hoof to beef on a plate, especially when that plate is in a foreign country, requires close collaboration between several industry groups and government agencies. 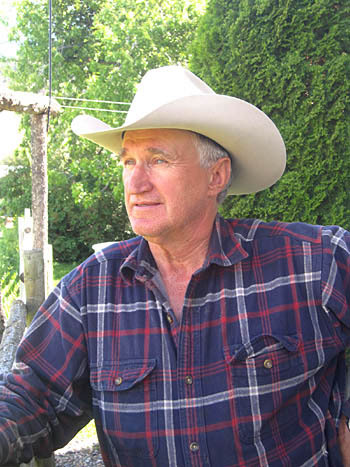 In the summer of 2012 David Haywood-Farmer, President of the B.C. Cattlemen’s Association, joined a trade mission to Asia to encourage the sale of B.C. beef. David, who ranches near Kamloops, thoroughly understands the complexities of beef production. the Canadian Cattlemen’s Association. All three are active cattle ranchers. Canada Beef Inc. is the marketing arm of the Canadian Cattlemen’s Association for both domestic and offshore trade. It is organized on a national level, with the head office in Calgary. It maintains offices in other countries as well. The South-East Asian market is serviced from offices in Tokyo, Seoul, Hong Kong, Shanghai and Taipei. Several months later, in January 2013, Japan relaxed import beef restrictions, permitting imports of beef from cows up to thirty months old. Since 2005 only beef under twenty months had been allowed. It’s estimated that under the new regulations beef exports to Japan will rise to between $l40 million and $l50 million a year, double what they’ve been.